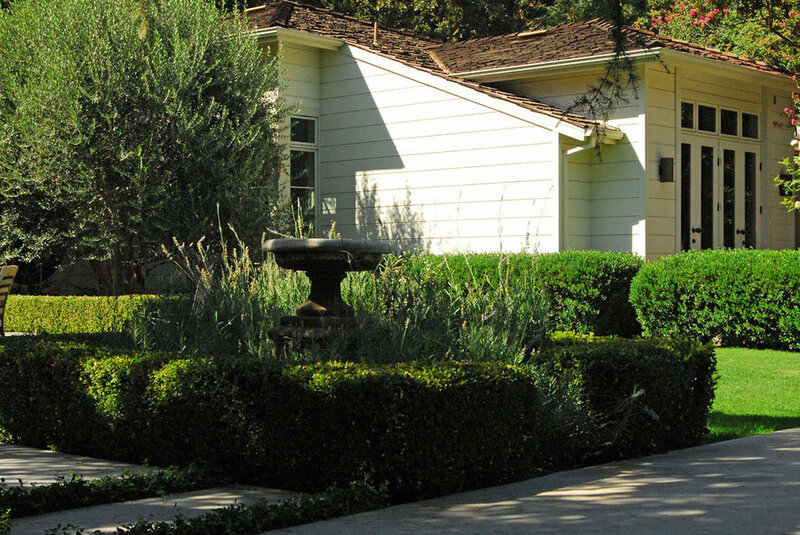 The front garden of this traditional home was renovated as part of a whole house remodel. 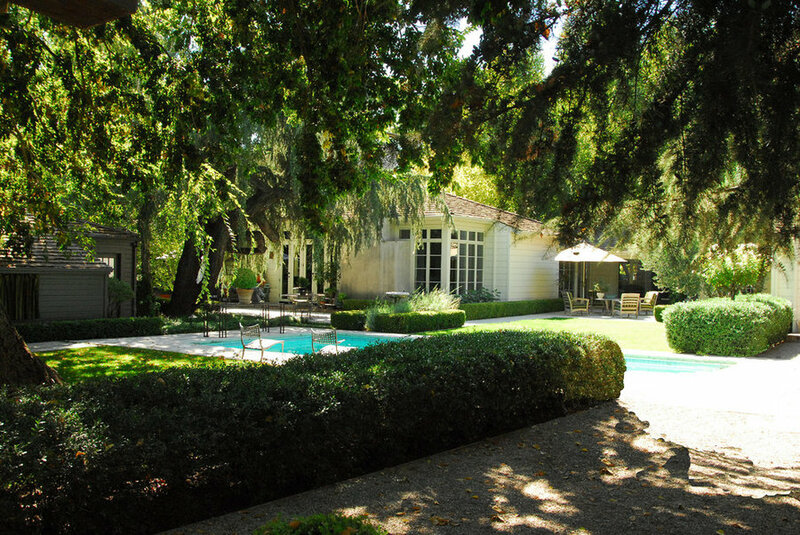 There are contemporary undertones to the garden along with a traditional European influence. 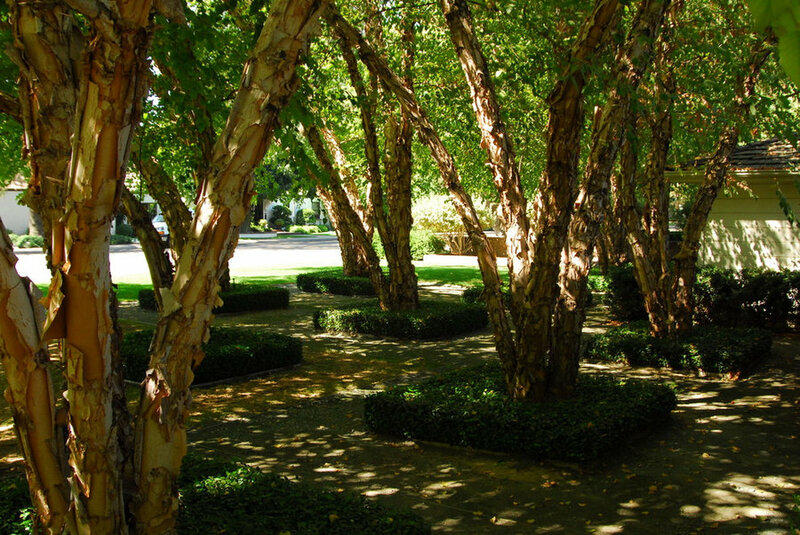 These River Birches were planted on a grid bound with metal landscape edging, underplanted with a tightly pruned groundcover, and surrounded with a grey decomposed granite. A very clean, simple yet bold statement. 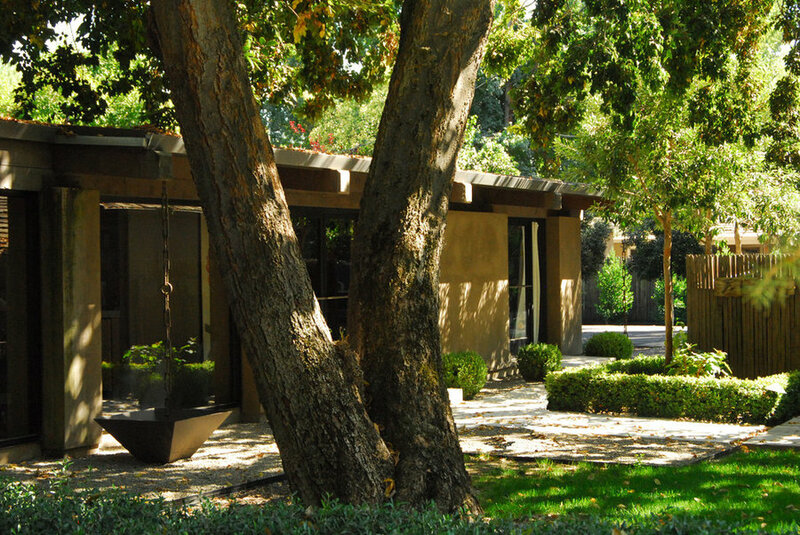 The rear garden incorporated existing trees, an existing pool, and a garage structure while updating the concrete decking and overall layout of the yard. A rectangular gravel space comes off of the master bedroom shooting out into the garden. 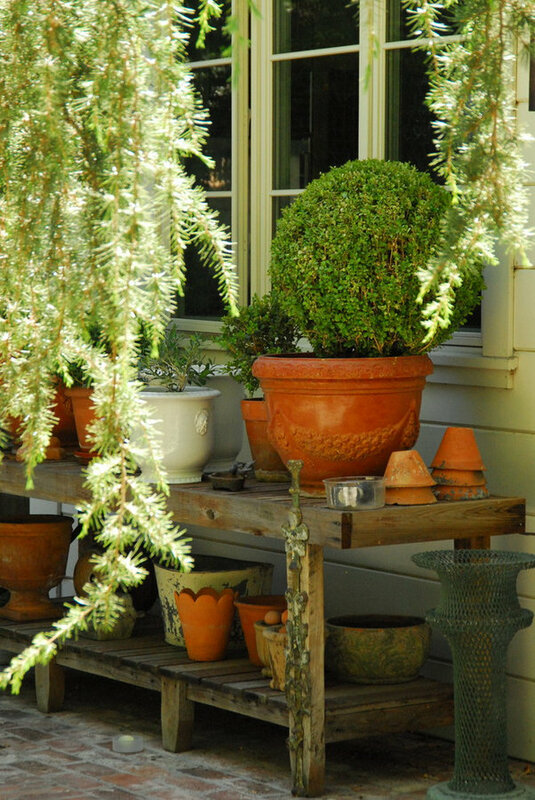 An rustic potting bench filled with a mixture of terra cotta pots and plants complements the rear patio off of the kitchen. A blooming Crape Myrtle adds color to the landscape. 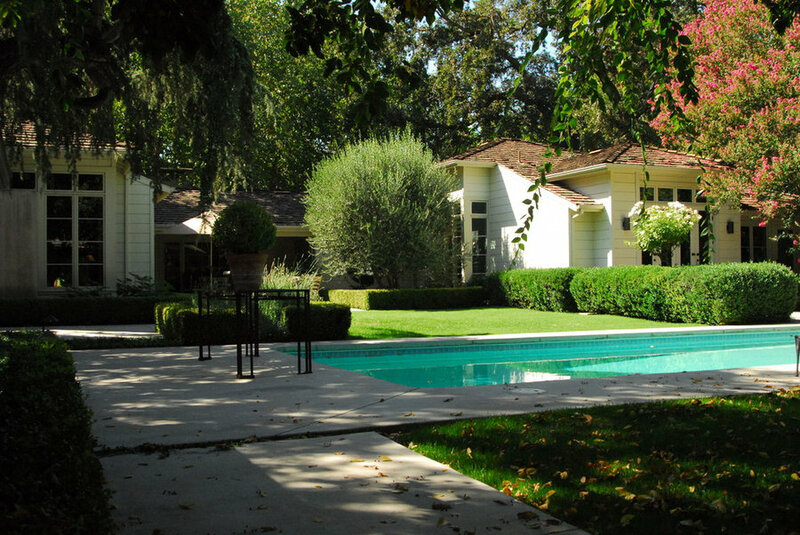 The rear garden incorporated existing trees, an existing pool, and a garage structure while updating the concrete decking and overall layout of the yard. 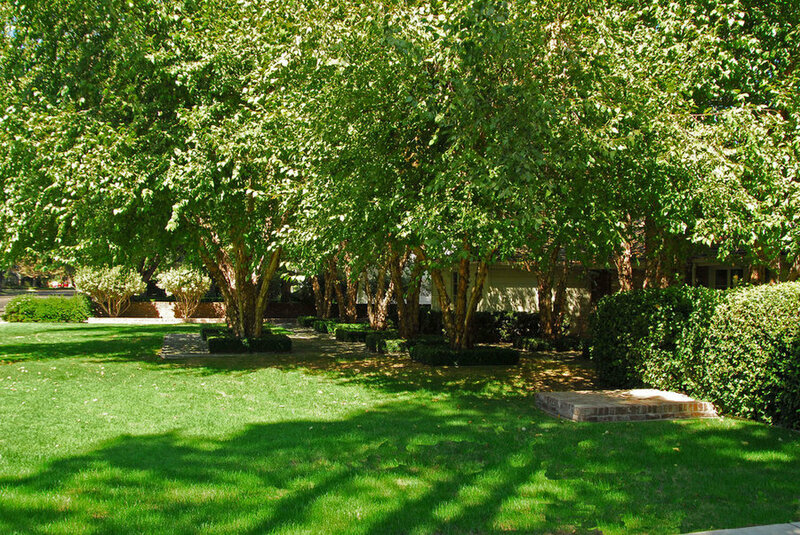 A central lawn space was developed between the pool and a covered porch area to bring the greenery closer into the view from the living room windows. 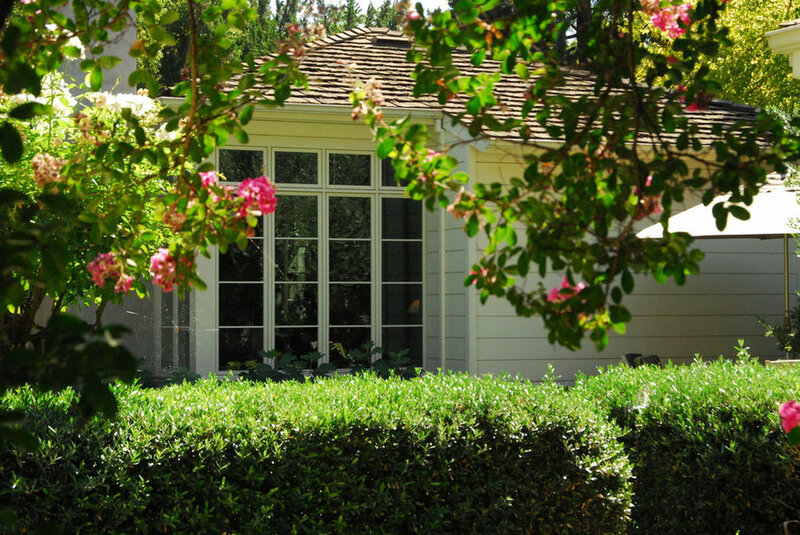 The view from the corner windows of the family room looks out onto a small formal garden with boxwood hedges, lavender, and a small formal fountain. The guest house takes on a more contemporary theme yet still incorporates the more traditional decorative gravel and formal hedges. 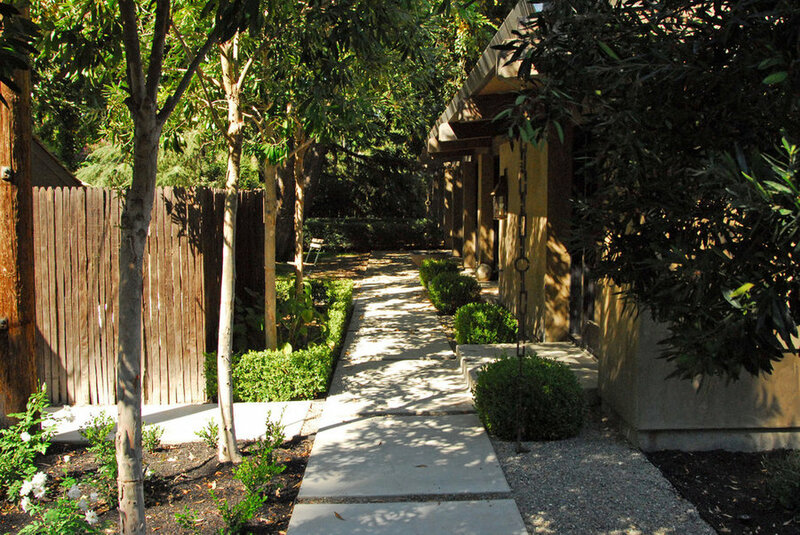 A rear walkway leads from the parking area towards the guest house and backyard beyond.